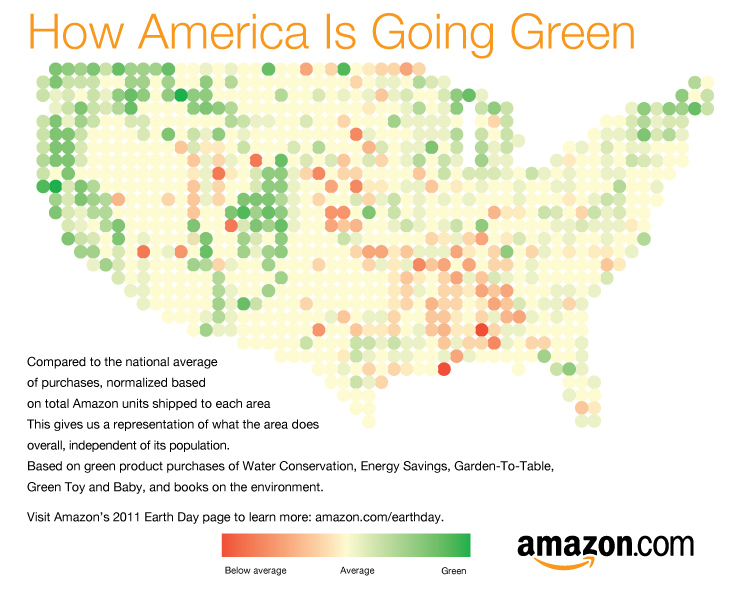 Amazon have made a survey of purchases across the US and have found that some places are more environmental aware than others. 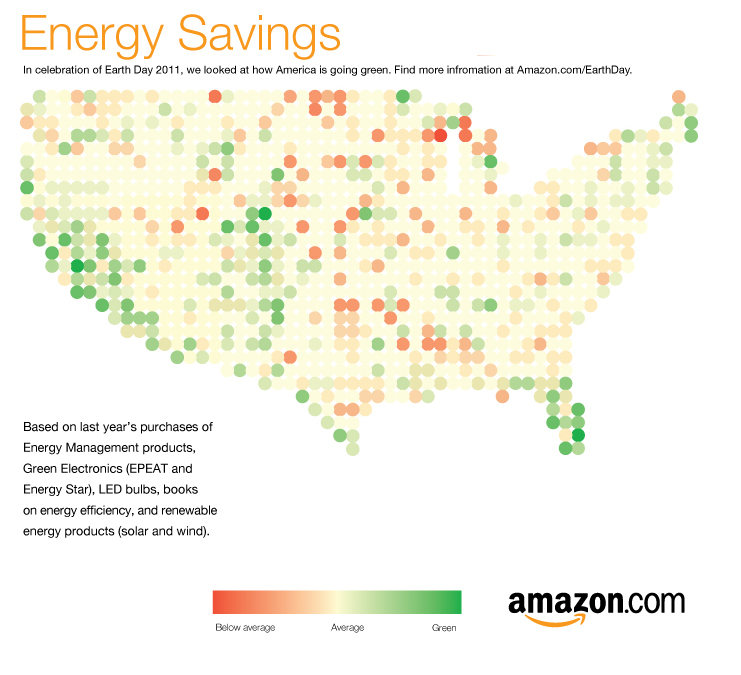 Using its sales figures Amazon has found out which states are purchasing the most environmentally friendly products. The study showed that California, New Hampshire, and Vermont are the places that purchase the most sustainable products across all categories, compared to the national average. The analysis also looked at Water conservation, Energy savings, Organic foods and Green Parenting. Based on purchases of environmental books, Vermont, Montana, and Washington, DC residents top our list of Most Well-Read Environmentalists. On a local level, Missoula, Montana residents just might be way more environmentally knowledgeable than the rest, with well over five times the national average of environmental book purchases. At least I found the evidence interesting even though that the internet has made the world more flat and that we have become victims of our own consumerism. You can judge for your self.